Deep sleeping has never been more terrifying! Insidious has been able to creep fans out for over a few years with the main stories and the spinoff that has spawned the likes of Conjuring & Annabelle. To date, the franchise has an impressive $371.9 million worldwide even if you consider that the movies cost roughly $12 to 16.5 million to produce, proving that even when it comes to the paranormal ghost still hold a fear among its audience on the big screen. When it came to Insidious: Chapter 3 which left the door open for a fourth one, the release date of Chapter 4 hasn’t been announced officially given it was then pushed back to January 5, 2018. However, after much waiting and anticipation that’s going to change given the film now having the first teaser and official title for the film. According to movieweb.com, The British Board of Film Classification has officially rated a teaser trailer for Insidious: Chapter 4, which seems to run for a brief 61 seconds. You can bet those that one minute will give you goosebumps. Personally, I hope it’s done right where it gives you a little scare and not too much of the movie as it will wear off any effect they hope to get with the initial ‘boo-factor’. 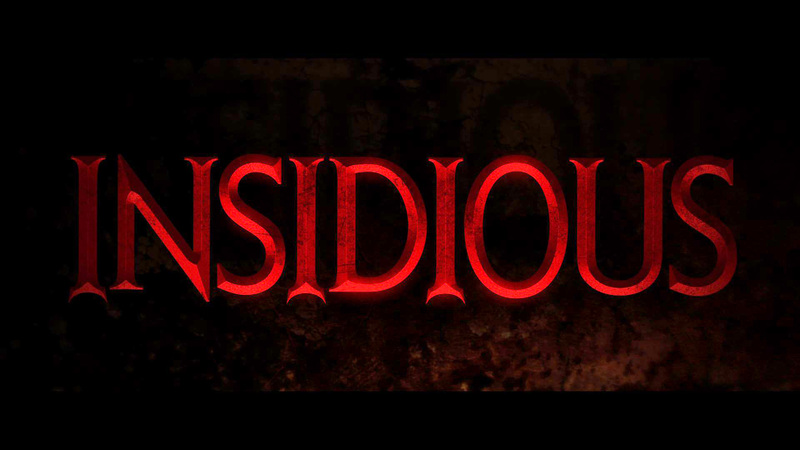 The trailer is said to debut next weekend at Halloween Horror Nights with maze called “Insidious: Beyond the Further. This disturbing maze is pitched to delve deep into the parapsychologist, Dr. Elis Rainier’s past where it depicts the doctor’s childhood where here paranormal abilities began during her mother’s untimely death by a demonic entity. The doctor will take a few guests with her on this troublesome journey into the Further to defy the most intimidating beings that have been tormenting her since the 1950s. There hasn’t been much revealed about the upcoming Insidious chapter other than it’s likely to serve a prequel to the first three previous installments, including Insidious: Chapter 3, which served as a prequel to the first two movies. Another piece of news that’s unsure is the status of franchise mainstay Lin Shaye returning as Elise Rainier. However, based off first off photo Tessa Ferrer is joining the cast as Aubrey and it looks as if the mysteriously eerie place known as The Further will partially be taken place there. Insidious: Chapter 4 (The Last Key), is being directed by Adam Robitel (The Taking of Deborah Logan) and will have original Insidious director James Wan serving as producer. Insidious Chapter 4 (The Last Key) will be in theaters on January 5th, 2018.